Ahmad Javed Wafa was appointed as President/CEO of Bank-e-Millie Afghan after successfully attaining the approval of Board of Supervisors and Da Afghanistan Bank (DAB). He formally joined the bank on 21 December 2015 after being officially introduced to the bank. Mr. Wafa is a professional economist and banker. Since February 2016, he has been working as a First Vice Chairman of Afghanistan Banks Association (ABA) and remained as Acting Chairman. 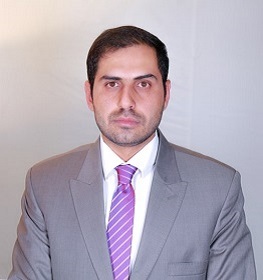 He previously worked as Director Economic and Strategic Planning at the Administrative Office of the President, Chief Risk Officer at Bank e Millie Afghan (BMA), Deputy Director General Research Monetary and Fiscal Sector & Senior Analyst External Sector at Monetary Policy Department with Da Afghanistan Bank. Mr. Wafa has also worked as a National Economic Specialist, Afghanistan Sub-national Governance Program (ASGP) with UNDP. During his professional career as a senior economist and banker in various capacities, he has had substantial contributions to financial and monetary stability of the Afghanistan economy, his contributions to monetary stability during years 2009-2011 were remarkable. Mr. Wafa completed bachelor degree in economics from international Islamic university in 2008 and joined National Graduate Institute for Policy Studies (GRIPS), Tokyo, Japan in 2011 where he successfully completed master in public policy with specialization in economic policy in 2012. After completing his master degree he has started working with the commercial banking sector, during his tenure as Executive Director at Afghanistan banking association, he has implemented strategic plan for the flourishing future of ABA & its members and strengthen coordination among commercial banks and commercial banks with DAB and ministry of finance, Mr. Wafa was able to successfully bring stability to the ABA operations and attain confidence of members, donors and other stakeholders. During his tenure as Director Economic and Strategic Planning at the Administrative Office of the President, he had significant role in improving 100 days strategic planning of ministries by holding seminars & meetings, he had substantial contributions in solving the issues faced by ministries in the implementation of development projects, Mr. Wafa participated in WTO final working party negotiations, and had great impact in improving the overall capacity of the directorate. Mr. Wafa has authored several papers and articles on various national and international issues related to banking sector, monetary policy, fiscal policy and international trade. Mr. Wafa is a committed professional who has strong communicating and negotiating skills, he has attended on job training in Central Bank of Italy, Macroeconomic Diagnostics in IMF, Washington D.C. USA, Monetary Policy, Exchange rate and Capital flows in Central Bank of Switzerland and attended several seminars, conferences and meetings on national and international platform where he represented his country. Mr. Waheedullah Hakimi Serves as Chief Credit Officer (CCO) at Bank-e-Millie Afghan, he officially was appointed as CCO after receiving the approval of Board of Supervisor of Bank-e-Millie Afghan (BMA) and successfully attaining the approval of Da Afghanistan Bank (DAB). Since April 2016 he has been working as Deputy Chief Credit Officer and remained as Acting Chief Credit Officer. During 2010 - 2016, Mr. Hakimi worked as Credit Disbursement General Manager at Credit Department of BMA, as a Credit Disbursement General Manager, Mr. Hakimi successfully introduced new products and schemes in the Credit Department and brought significant changes in the loan portfolio of BMA. 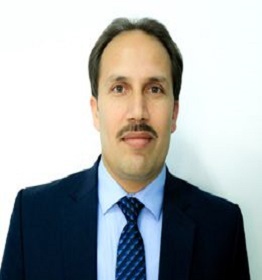 During 2002-2010, Mr. Hakimi worked as acting Chief Operations Officer (COO), Deputy General Manager of Accounting Department, Secretary of Board of Supervisors (BoS) at Bank-e-Millie Afghan. Mr. Hakimi has completed his secondary education in Mohammad Agha High School in Logar province. Then he did his bachelor's degree in economics from Kabul University in 2002. Hakimi has completed Associate Degree in Business Administration Management in Berkeley College, New York, USA in 2010. Bashir Ahmad Naail Acting Chief Operations Officer, Bank-e-Millie Afghan. Mr. Bashir Ahmad Naail is a professional banker with almost a decade in the banking and related industry. He started his professional journey in 2009 from Da Afghanistan Bank (central bank) as risk officer and later promoted to risk manager level. In 2015 he joined Administrative office of the president as economic expert. In 2016 Mr. Bashir Ahmad Naail joined Bank-e-Millie Afghan and since then he worked deputy chief finance officer. In addition to serving in the above mentioned organizations at different capacities, he has been part time lecturer in private universities for almost 7 years, delivering lectures on banking, finance, business decision making and economics. Mr. Bashir Ahmad Naail successfully completed MBA from Kardan University and BSc (Honors) economics from international Islamic university Islamabad and was able to pass CFA level 1. Apart from this Mr. Bashir Ahmad Naail has successfully completed on job trainings in the central bank of Italia and Poland and attended different bank related trainings in USA, Europe, Singapore, India, UAE, Cambodia and Africa. Mr. Fida Mohammad is a professional banker, he has joined Bank-e-Millie Afghan (BMA) in 2017 and working at the capacity of Chief Risk Officer duly approved by Da Afghanistan Bank (DAB), he has more than 8 years’ experience in the banking sector with core competencies in Risk Management, Assets & liability management, Operations Management, Accounts Management, Strategic Planning, Compliance/KYC/AML/CFT, Credit Analysis, Credit review, Financial analysis and Budgeting. He began his career with Azizi Bank and later joining Bakhtar Bank where he rose to Deputy Chief Financial Officer (Dy.CFO). Prior to join BMA he had worked at the capacity of Risk Manager at Afghanistan International Bank (AIB) for more than 4 years. 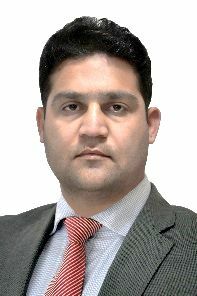 He holds MBA degree (Specialized in Banking and Finance) from American University of Afghanistan.